We were so overwhelmed with entries that we simply couldn’t just pick one winner. A huge congratulations to Martha at Bringhurst Primary School and Leo at Houghton Conquest Lower School, who have been chosen as our competition winners for their imaginative designs. Both pupils will be rewarded with a luxury art and craft set, whilst always claiming a £100 donation to the art departments at their respective schools. 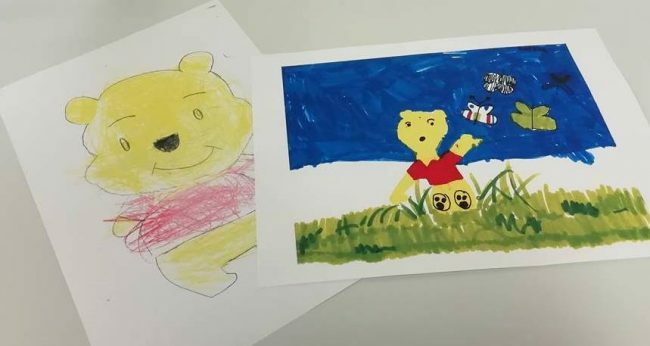 We’ll be sharing our other favourite entries on our social media pages over the next week, so keep an eye out for some wonderfully creative Winnie the Pooh masterpieces.